The EC Harris project and cost management team delivering this fabulous mixed private residential and corporate real-estate asset invited me to join this project team. My role was to provide assurance with regard to the technology solutions being designed, specified and procured. 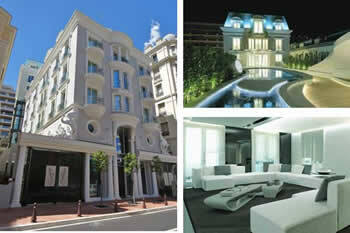 This super high luxury project situated on Boulevard des Moulins in Monte Carlo required absolutely state of the art technologies to be seamlessly integrated such that the ‘smart-home’ solutions for the owners accommodation and apartments would integrate with the building HVAC and other ‘intelligent building’ systems. I was asked to consult directly with the owner / client to capture and document her stated requirements and to use my experience to incorporate the implied requirements. I then worked with the specialist consultants to ensure that their solution designs being procured could meet those requirements. Mid-project the client decided to change the user interfaces from traditional panels to the use of iPAD units mounted in the walls. This required further due diligence to ensure that the vendors could provide a viable, resilient solution.